“The objective of the industry report was very clear in our minds. 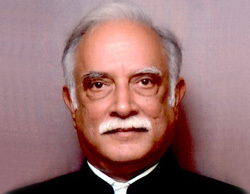 It should become a reference book that people would like to pull out and read, repeatedly, and act on it,” says Jayant Nadkarni, President of BAOA. 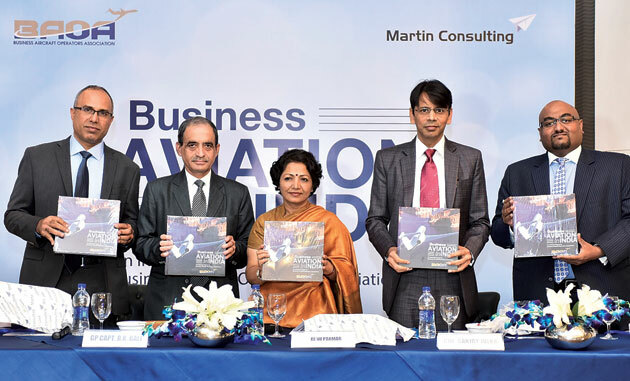 In an interview with Jayant Baranwal, Editor-in-Chief, BizAvIndia, he outlines the objectives behind the recently released BAOA report on business aviation in India. Jayant Baranwal (JB): What is the overall objective of this solidly comprehensive BAOA report? What exactly is the role of the same? 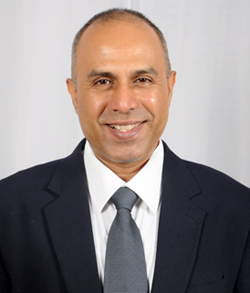 Jayant Nadkarni (Nadkarni): For many years now, we had been seeing industry reports that were no doubt good, but we were not getting results for our industry. In parallel, given the backdrop of falling growth of business aviation (BA) in India, despite its huge potential that is so fashionable to talk of, we decided to act on it. And last year, the Governing Board of BAOA commissioned this comprehensive report. The guiding principles while working on the report were that it should be very readable and believable. It should explain our past and present, how we got here, without indulging in any blame games. It should take into account global best practices but without suggesting cut-copy-paste answers for India. The overarching impression of readers should be yes, India should emulate these practices, do this or not do that. The objective of the industry report was very clear in our minds. It should become a reference book that people would like to pull out and read, repeatedly, and act on it. Only that would justify the role we set for this report. JB: Who all are likely to read this? Nadkarni: We hope that a very wide section of people would read the report from officials in the Ministry, DGCA, AAI, BCAS, state governments, industry personnel of course, and also potential buyers and owners of business aircraft would do well to read this report. JB: As you have mentioned, BA is still treated as the sector / industry preferred by affluent/ highly rich people. How do you plan to change this perception? In fact BA at times remain connected with luxurious travel — yet another stigma attached to the industry. What are your plans? Nadkarni: Our plans are already underway, as they have been from the time of our inception. They have only gathered more steam now. To tackle the specific perception issue you mentioned, we hope to educate the masses through media and conferences and of course industry reports like the one just released, that the popular notion of luxury associated with BA is wrong. This is not easy. It will take time. But it is an effort that we must go through with. Unfortunately without meaning to, in the past some OEMs may have contributed to this notion by advertising “luxury” in their aircraft. There is no doubt that a business aircraft is a luxury symbol. But luxury is only half the story. 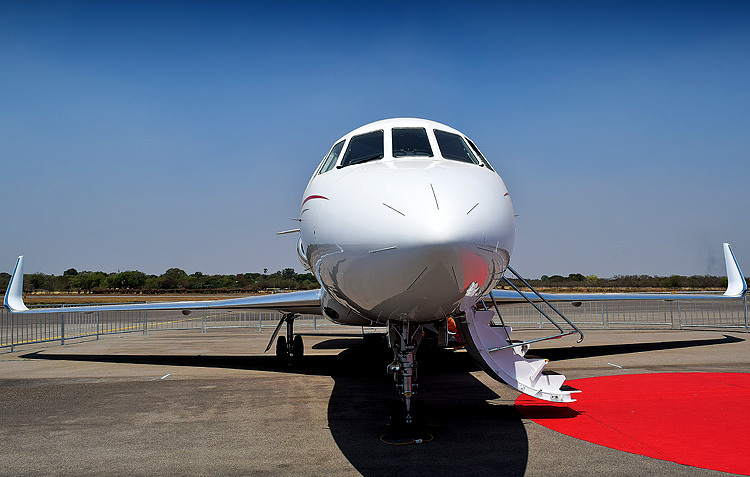 In fact more business aircraft flying around the world, and indeed in India, are true workhorses that impart flexibility to their users that is just not possible from scheduled airlines. The extra time saved is put to productive use for the economy, in setting up factories, ushering in growth, creating jobs and prosperity. 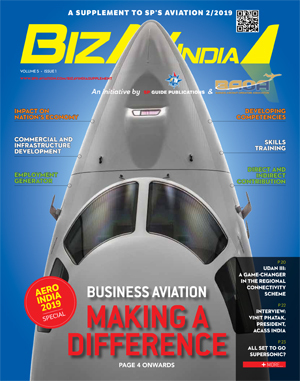 Our report has a special case study on a live example in India of remote area industrialisation that’s been possible only due to easy access provided by business aviation. To date, this hinterland district is not served by scheduled airlines, and yet it has seen progress on nearly every socioeconomic parameter, be it number of hospital beds, industries, technical schools and colleges and many other measures. If this is not a benefit from BA to the common man, then what is? Is it right for anyone to propagate that BA is only about luxury? No, it’s also about necessity and progress. Not just the affluent benefit from BA, everyone benefits. Many advanced countries have recognised this and harnessed the advantages from BA, so should India. JB: The National Civil Aviation Policy (NCAP) did not have the mention of BA operators. What are the plans to get this set deterrence rectified? Nadkarni: We had taken it up with the government who have been very responsive and open to hearing our point of view, and we are positive that BA will get its due over time. JB: The delivery time of aircraft to the operators / owners as well as the first take-off of the aircraft involves some six months kind of quite a painfully long period as is conveyed at times by many of the stakeholders, while these steps need not take more than a few days. How do you plan to get such discrepancies addressed by concerned authority? 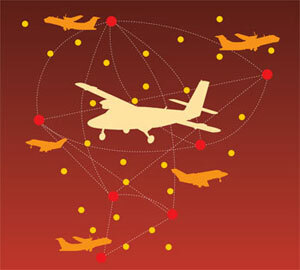 JB: How is the DGCA attitude these days versus the industry? Nadkarni: Good, encouraging. We believe all of us are stakeholders together in the industry — from the government, regulators, operators and aircraft owners. It is transparency in rules and knee-jerk reactions that need to be addressed. JB: Have we been able to convey the concrete aspect and role of BA to the government departments that business aircraft are the business tools which continue enabling contributions to the economy of the country? Nadkarni: Yes we have and I must say that sections of the government is seized of the role of BA, although this message clearly needs to become more all pervasive across departments and ministries and show in results. However, signs are encouraging. We need to keep persevering.